Alexander Tilley had a moment of clarity while sailing. He was fed up with trying to find a decent sailing hat, and took it into his own hands to design the ultimate hat. After several variations, he found the perfect combination of design, durability and downright good looks. As Alex traveled wearing his handmade hat, sailors continually asked him to make them hats too. With those sailors demand came the birth of the Tilley Hat, which quickly became an essential piece of travel clothing as word spread. Birders and hikers started contacting Alex to produce more hats for their adventures, and the brand took off. As the business gained popularity, retailers began to demand the brand for their shelves too. Throughout the years, Tilley has graced the heads of Prince Phillip, famed explorer Sir Edmund Hillary, and Canadian soldiers during the Gulf War who sometimes dyed their light colored hats with coffee for better camouflage. Ever wonder how durable these hats really are? Well, as the story goes, one Tilley hat was tough enough to be eaten by an elephant three times and survive its digestive tract, only to be worn once again! That hat is now shown in the Tilley showroom at their headquarters. Each Tilley hat is still hand stitched, and the quality and durability have stood the test of time. They offer insurance and warranty for each Tilley hat, will replace or repair your hat if it goes missing on an adventure, or if it ever wears out. These are a few of the many reasons why we love Tilley - they make the best hats on the market for traveling, hiking, or just enjoying life outdoors. Tilley hats are certified UPF 50+ for sun protection, the maximum rating given, and have the ability to be folded and packed easily. Tilley will replace their hats against any peril within 2 years of purchasing. These are the hats we use on our adventures, and we hope you will too. Our most popular Tilley hat styles are the LTM6 Airflow, the Lightweight LTM8, and the classic T3 Snap-Up Hat. 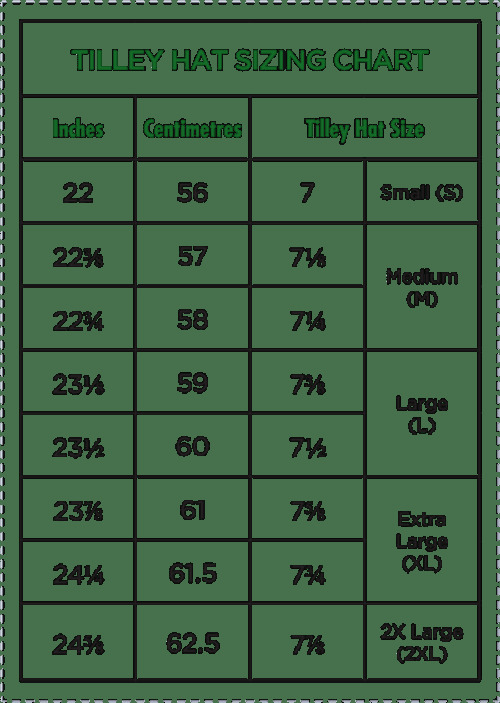 To understand Tilley sizing, check out our sizing chart and video on sizing below. Learn how to take all of the guesswork out of getting the perfect fitting Tilley Endurables hat. Q: Does Tilley size their hats like baseball caps? No, Tilley hats fit a little different, so you need a different size than your baseball cap size. To make sure you are sizing yourself correctly, watch our "How to get the Perfect Fitting Tilley Hat" video below! Q: Do Tilley Hats float? Some styles float and some do not. The natural hats are made from cotton and hemp fabrics and will not float. If you want a waterproof hat that floats, check out Tilley Nylamtium Airflo hats. Q: Do you provide return shipping if I order the wrong size Tilley hat? No, we cannot provide return shipping. See our Returns and Exchanges policy for more information. First, note that Tilley hats do not fit like a traditional baseball cap. They need a little more "wiggle room." Second, the material of the hat will determine if the hat will stretch or shrink - their nylamtium hats will not shrink. They run true to size, but if possible, measure your head before you buy! The cotton and hemp hats may shrink a little if they get wet. Also, if you purchase a Tilley Hemp or Cotton hat and it's a smidge too large, soak it in water and let it air dry - it can shrink up to 1 size (down). To see more about how to find the right size for you at home, check out our video, How to Find Your Tilley Hat Size. Feel free to contact us with any questions you have about specific styles.